Picturesque waterfront estate on Greenwood Creek. 250 of waterfront. 70 pier with 2 electric boat lifts. 4 stall barn with tack room. 2 master BR suites. Gourmet kitchen. Home office. Beautiful views from windowed living space. Gas fireplace. Additional 6th BR/study. Custom moldings. 3 car garage with 600 sq. ft. rec room. Wrap around porch. Waterside deck. 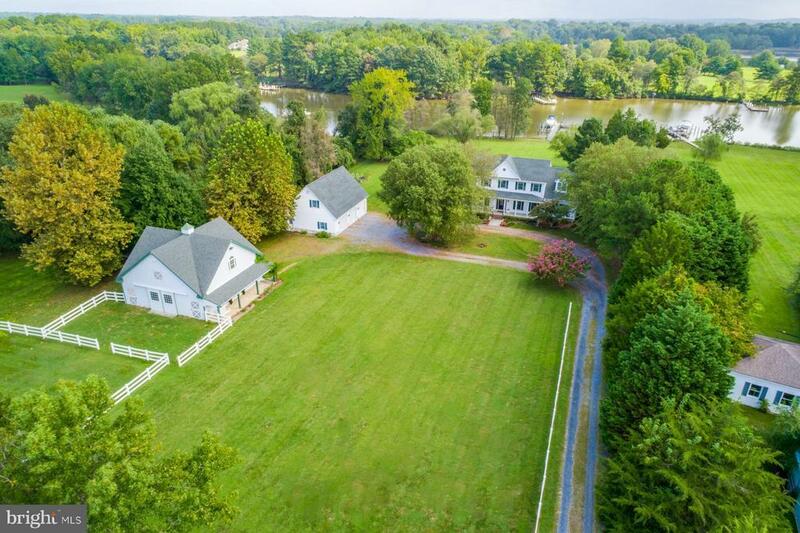 Enjoy 5 acres of privacy & serenity.